The U.S. Bureau of Reclamation and the Desert Research Institute are working to better understand evaporation rates at Lake Powell, one of the key recommendations from the 2016 “Fill Mead First” report from the Center for Colorado River Studies. Unhappy with the current way Flaming Gorge is being operated, a group of stakeholders recently proposed changes they feel will benefit both local wildlife and the residents who live near the national recreation area. Experimental releases that mimic natural floods have nudged the Colorado River ecosystem back toward its natural state, but have not fully restored the river. The U.S. Bureau of Reclamation begins a four-day controlled flood of the Grand Canyon. 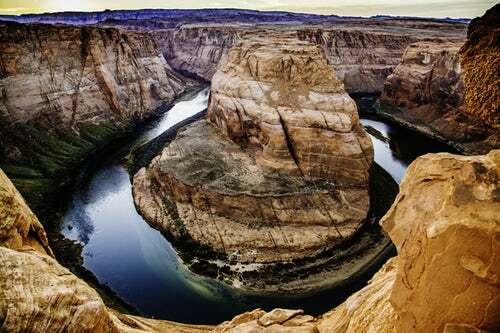 The goal is to help move sand and sediment down the Colorado River the way the river's natural flows did before construction of Glen Canyon Dam. "Adaptive management will flounder, says a veteran of efforts on the Colorado River, "if it's only guided by stakeholder concerns and is tightly constrained by nuanced policy considerations." From Scientific American: Jack Schmidt, a former chief of the U.S. Geological Survey's Grand Canyon Monitoring and Research Center, says the science doesn't back it up. Instead, it could cause "one hell of a problem," said Schmidt.